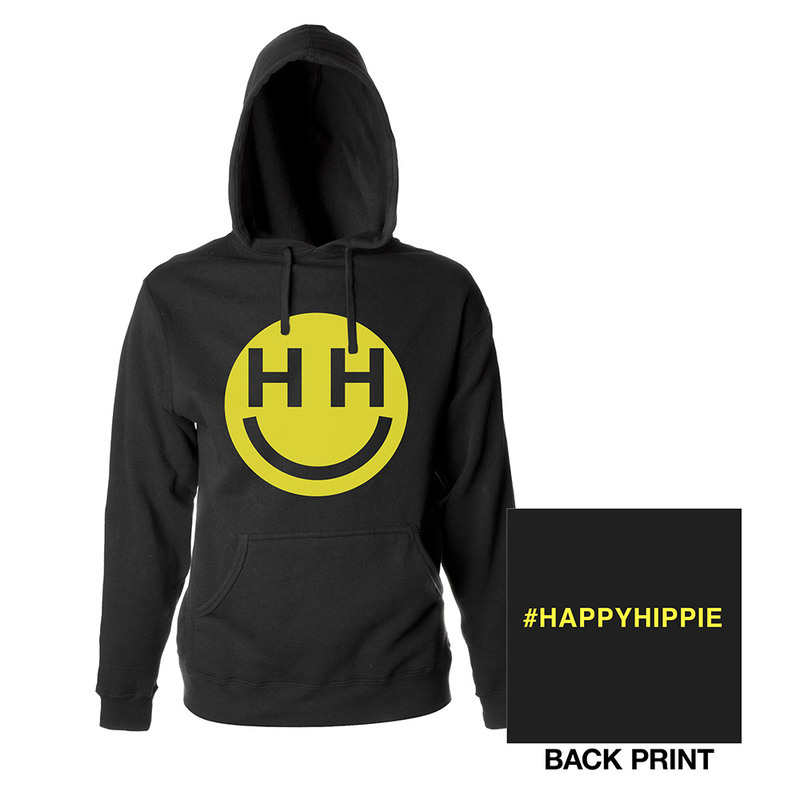 View Larger Happy Hippie Foundation Pullover Hoodie Black pullover hoodie featuring the Happy Hippie Foundation logo on the front and #HappyHippie on the back. 8.5 oz soft, mid weight fleece and generous fit for comfort. 100% cotton.